A Quilting Sheep: My first Crazy Shortcut Quilt is done! Notice the horizontal and vertical sashing don't meet and there is some bunching. Oh, I love it! It's so cute!!! Great work, Amy! I'm so glad you got the sashing to line up- it looks great! I love the red & white checked fabric you used! 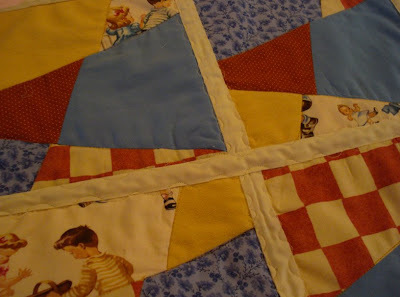 What a fun quilt, Amy! It looks great! Oooh, neat! 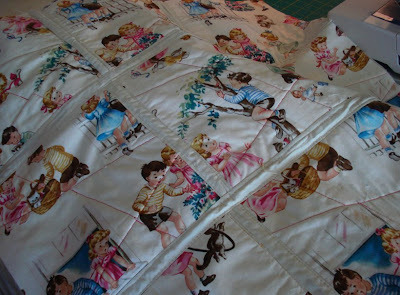 I've seen crazy quilts before, but never with the sashing. That really adds another dimension and it looks complex. Good for you for doing such a good job - and for sharing it with us! 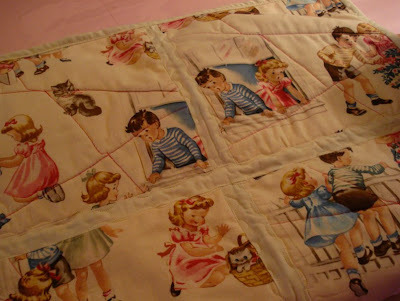 your quilt is cute. 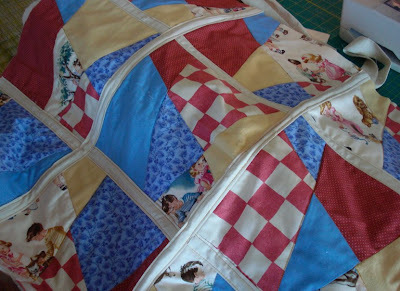 I have machine pieced quilts and have started hadn piecing the Dresden pattern. I have nerly enought for a queen size quilte, and have had for a yer. But arthritis has stopped my stitching and I am so sad. I mmight drug myself silly some day and try to get enough finished sop I can put it together and have it quilted. Thank you for sharing. I also enjoyed the items on your shelf. And I think I saw a cousin to now of the spiders in my house. quite a resemblance. The quilt is darling, Amy. It amazes me how quickly you pick up things! I love the fabrics you used. They create a wonderful quilt. It is really beautiful.